We take our MacBooks and iPads for granted, but portable computing and touchscreen technology were once niche concepts. You had to pay a lot of money for the privilege, and it wasn’t even that great. By the late 1980s, several companies had established a name for themselves by converting and augmenting the increasingly popular Apple Macintosh for those who could afford it. Of these, only one product has stood the test of time and is still available today. Let’s take a look at the weird world of Macintosh conversions. Mac conversions and Mac clones are not the same. Conversions require an aftermarket retail Mac, bought from Apple, which someone then converts into another product. Mac conversions use original Apple hardware and licensed ROMs, repurposed for a more specific use. As a result, conversions required the purchase of a Mac from Apple. After an upgrade and reconfiguration, this “donor” Mac was still compatible with Apple’s OS and wider ecosystem. Some companies buy Macs from Apple, convert them, then sell them directly to customers. Mac clones, on the other hand, are computers modified to use Apple’s operating system without the use of a 100-percent genuine Mac. These days we use the term Hackintosh since it’s possible to install macOS on a PC How to Install macOS on a PC (Mac Required) How to Install macOS on a PC (Mac Required) With the right combination of components and effort, you can install macOS on a regular PC. Read More . These began life as emulators for the Amiga, Atari ST, and x86 platforms and ran Mac-specific software. Only two companies ever produced unlicensed Mac clones: NuTek and Brazilian company Unitron. The rest were licensed as part of Apple’s Mac OS 7 licensing program, which Steve Jobs cracked down on upon his return to Apple in 1997. During this time, over 75 Mac clones were created, licensed, and sold around the world from companies like Bandai, Motorola Computer Group, and Pioneer. 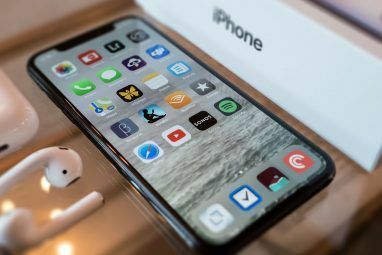 Some companies managed to avoid licensing issues altogether by sticking with the conversion market, and some of these companies worked with Apple directly. Let’s look at some of the standout Mac conversions. 1. Modbook by Axiotron/Modbook Inc.
Delaware-based Axiotron started trading in 2005. Two years later, it introduced the world’s first pen-enabled Mac at Macworld 2007. The Modbook is a MacBook and a graphics tablet in one, made using a genuine aftermarket Mac with a Wacom digitizer and canvas-like design. The Modbook has never been a touchscreen Mac, since it was designed to work purely with Axiotron’s Digitizer Pen. As such, palm rejection and accidental touches were not an issue. The target market of artists and graphic designers could make use of the pen’s 512 levels of pressure sensitivity to draw and paint directly on the Modbook’s screen. Since the Modbook is essentially a graphics tablet built into a MacBook, compatibility with software is perfect. 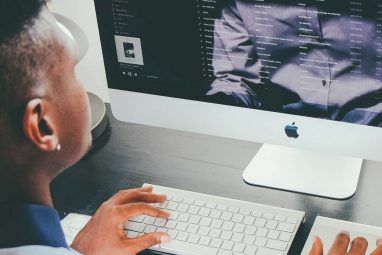 Any professional software designed for use with a tablet would work, at a time when the Mac was growing increasingly popular among creative professionals. The original model (above) started at $2,279 for the base level Core2Duo 1.8GHz version. It included an improved LCD panel with wider viewing angles and better contrast ratio. The company installed a “ForceGlass” cover which provided an additional layer of protection, and a Wacom digitizer for pen input. Axiotron was bought out in 2008 and dissolved later in 2010. Modbook Inc. formed in 2012 to continue the work of converting MacBooks into Modbooks. You can head to the Modbook company website and order a Modbook Pro right now. 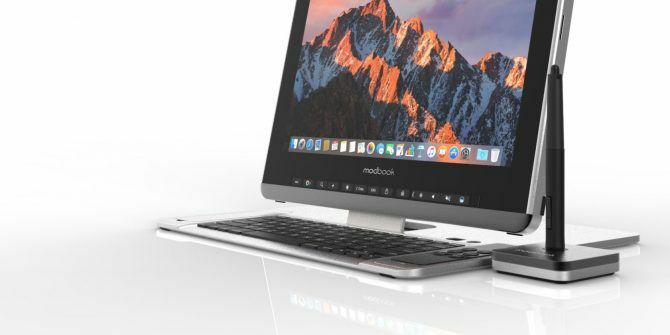 The website also features the company’s crowdfunding campaign for a new device, the ModBook Pro X (based on 2017’s MacBook Pro with Touch Bar refresh). Unlike the original Modbook, the latest model is more of a tablet-laptop convertible The Best Mini Tablet PC or Convertible Hybrid The Best Mini Tablet PC or Convertible Hybrid Tablet sales have been declining. However, one category of tablet continues growing: tablets that transform into laptops when coupled with a keyboard. We call these 2-in-1 tablets. We rounded up the best convertibles around. Read More , like Lenovo’s Yoga line of Windows laptops. Troll Touch was a California-based company that specialized in adding touchscreen capabilities to existing computers. This includes Mac and PC desktops, but also notebooks, LCD and CRT monitors, and custom kiosk enclosures. The earliest mention of Troll Touch on the web is a Wayback Machine snapshot from March 1997. Troll Touch initially sold add-on kits that converted existing monitors into touchscreen monitors. By 2000, Troll Touch offered iMac conversions that shipped with touchscreen compatibility. The company went on to offer internally integrated touchscreen eMac and iBook models by 2004, working with Apple as one of the company’s Value Added Resellers. This meant it could sell the converted touchscreen Mac computers with Apple’s one-year warranty intact. In 2009, you could add a touchscreen component to your iMac for $1,099 or $1,699 for the 21.5-inch and 27-inch models respectively. This didn’t include the price of the Mac, which you’d have to provide yourself. You could also pay more for an already-converted model. 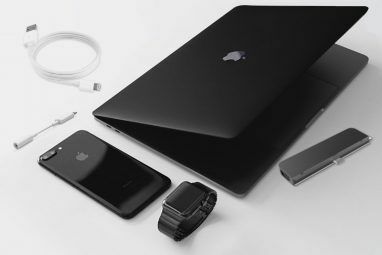 The company later moved on to Apple’s coveted Cinema Display, charging $2,499 for a multi-touch-enabled monitor or $1,099 for the external kit. Despite legitimate uses existing for touchscreens at the time, user interfaces were far from optimized The Evolution of Touchscreen Technology The Evolution of Touchscreen Technology In the tech space, time moves quickly; a little more than seven years ago, smartphones as we know them did not exist — now, they’re the most profitable tech industry on Earth. Read More and “gorilla arm” was a frequent problem. The Troll Touch website last advertised the company’s services in March 2016. It redirected to the web host’s landing page a month later. Before Apple introduced the Macintosh Portable in 1989, a number of companies started selling desktop-to-portable conversions to satisfy growing market trends. These were rebuilds of existing Macs, with the option of the customer providing a “donor” Mac or buying a pre-converted model outright. This included Fresno-based Colby Systems, which introduced the Lap-Mac in 1986. It was a Macintosh Plus converted into a portable, with a detachable plasma screen and optional external battery pack. This started at $4,995 and weighed 16 pounds. The WalkMac SE (and later SE-30) replaced it the following year. Then there was Dynamac, a Denver-based company founded in 1970. In 1986 the company introduced the original Dynamac, a 24 pound metal Macintosh Plus portable conversion. In included a 9-inch backlit amber screen and optional external battery pack, starting at $7,000. Dynamac went on to produce several more portables. These included the Dynamac EL, which reduced the weight to 18 pounds through the use of a plastic enclosure. Another model was the Dynamac IIsf leather-bound (yes, really) Macintosh LC conversion. Finally, there was Iowa-based Intelitec Systems Corp. It was known for its MX Plus Macintosh Plus portable conversion, which started at $5,000 for a 15 pound aluminium conversion. This is one of the few portables of the era that included an internal battery. All these portable conversions were rendered obsolete when Apple introduced the Macintosh Portable (pictured below) in 1989. Despite its steep introductory price of $7,300 and hefty weight of 16 pounds, third parties couldn’t match Apple’s internal lead-acid batteries, sharp LCD screen, and hinged design. Colby got out of the Mac conversion business in 1991, but continued trading until 2016 when it finally dissolved. Dynamac closed up shop in 1991, whereas Intelitec only made it to 1989. Outbound also specialized in creating Mac portables, but unlike its competition built its products from scratch. The company was technically still making Mac conversions rather than clones, since its machines required the ROM stick from a Mac Plus or SE in order to work. Though this process rendered the “donor” Mac unusable, some still consider Outbound’s products clones. This was possible since Outbound licensed the use of the ROM from Apple for the purpose of providing custom portables. It also managed to survive the arrival of the Macintosh Portable, since the Outbound model cost around $4,000 (as opposed to Apple’s $7,300). It also only weighed 9.3 pounds including the battery (almost half that of a Portable). The company first produced the Outbound Laptop using a detachable keyboard that communicated with the computer via infrared. In order to keep the price down, Outbound opted for cheaper and more prevalent camcorder batteries. It also built the “Isopoint Trackbar” pointing device (pictured below) into every model, removing the need for a wired mouse. The Laptop was succeeded by the Macintosh SE-based Notebook, which is notable for its modern-looking clamshell laptop design. A lot of good ideas went into Outbound’s products, but it wasn’t to last. In 1991 Apple replaced the Macintosh Portable with the PowerBook 150, which pretty much killed the whole portable conversion market. Outbound went out of business the same year but formed a new company called PerFit to furnish service and warranty requests, for which it deserves recognition. Sixty Eight Thousand was named after the 680X0 family of Motorola CPUs used in the Macintosh (and many other home computer systems) at the time. It specialized in high-end Macintosh models for clients who needed more power than Apple provided. The conversion process involved replacing the plastic Mac enclosure with a stainless steel tower and replacing the main CPU with a much faster model. It also added a SCSI accelerator, math co-processor, and superior RAM cache. 1989’s Dash 30 cost around $15,000 plus the $5,498 Apple was asking for the Macintosh II at the time. This cost could skyrocket to well over $20,000 for the full set of basic speed enhancements. The company went on to produce the Macintosh IIfx-based Dash 30fx and Quadra 950-based Dash 40Q, which was aimed specifically at the publishing and printing industry. The company filed for bankruptcy in 1994, and Apple went on to design higher-end models to satisfy the small but emerging market of power users. These days we have models like the iMac Pro Mac Pro Delayed to 2019: 5 Best Alternatives Mac Pro Delayed to 2019: 5 Best Alternatives Can't wait until 2019 for the new Apple's new powerhouse computer? Here are five Mac Pro alternatives that can handle intense graphical work. Read More which are comparably overpowered for the average user’s needs. Many of these ventures were brave forays into the unknown by small companies trying to fill a gap in the market. Nowadays tech giants often acquire such rivals and resellers, but in the late 80s and early 90s many such companies simply went bust and ceased trading. Fortunately we can still get a taste of classic Apple fever thanks to the extensive Macintosh software collection over at the Internet Archive Classic Mac OS Software Lives On at the Internet Archive Classic Mac OS Software Lives On at the Internet Archive The Internet Archive's new collection of classic Mac software should help to scratch your nostalgia itch. Read More . And you can still order a Modbook Pro if that’s something you’re interested in! Explore more about: Apple, History, Mac.